I took in the APT6 at the Gallery of Modern Art on a whistlestop visit to Brisbane this weekend. APT6 is the sixth Asia Pacific Triennial of Contemporary Art and having been greatly impressed by the last three triennial incarnations (in ten years living in Brisbane), I was looking forward to the latest version. I was not alone. The exhibition has attracted 200,000 visitors in the opening six weeks since 5 December. This level of patronage is not unprecedented. 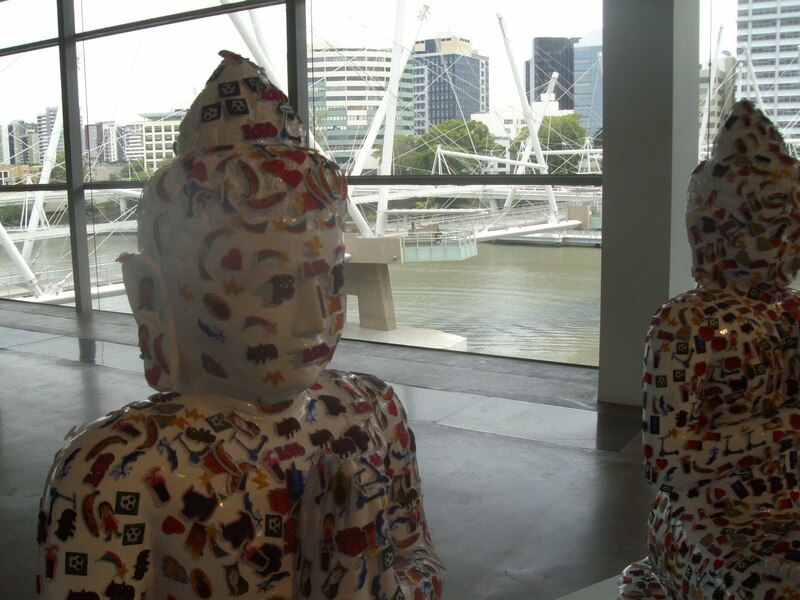 1.3 million have visited the six exhibitions but numbers really took off with APT5 in 2006 when it moved into the magnificent GOMA building on Kurilpa Point. 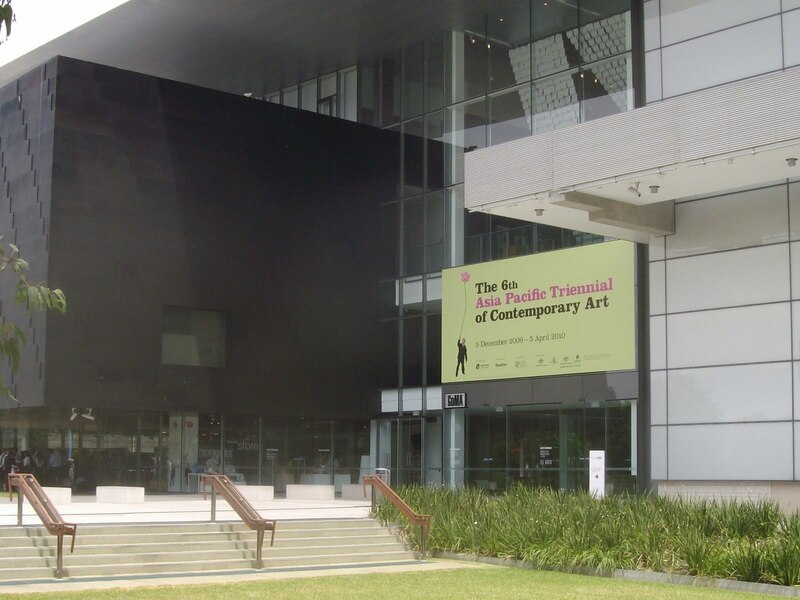 Established in 1993, APT is the Queensland Art Gallery’s flagship international contemporary art event. 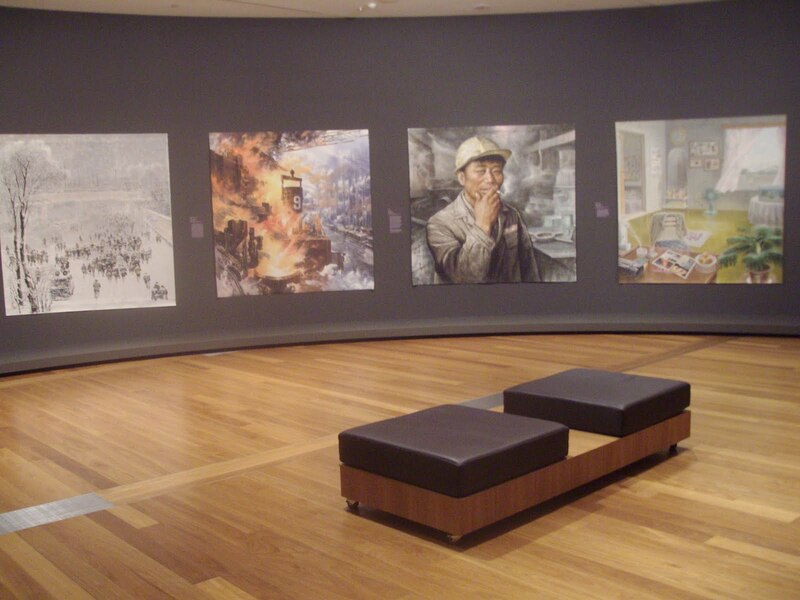 It is the only major series of exhibitions in the world to focus exclusively on the contemporary art of Asia, the Pacific and Australia.The 2009 exhibition shows the work of over 100 artists from 25 countries, including artists and artist collaborations never seen in Australia from Tibet, North Korea, Turkey, Iran, Cambodia and Burma. 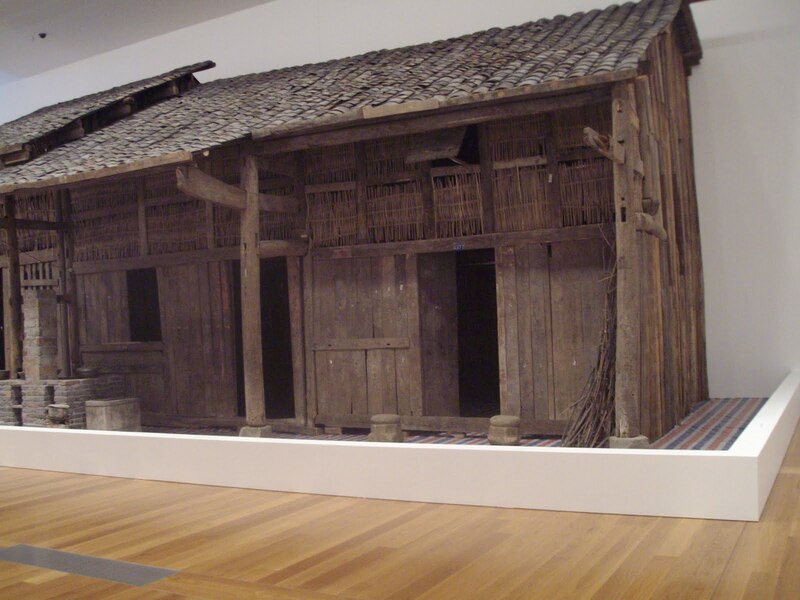 According to Queensland Art Gallery director Tony Ellwood, APT6 has a number of thematic links, including “the dynamism of collaboration, the power of popular culture to articulate perspectives on contemporary life, the impact of rapid social change on local communities and cultures, and the practice of drawing”. The exhibition continues until 5 April 2009.Here are some of my favourites from this year’s collection. I was expecting the North Korean art to be showy in a Stalinist way and while they promote Dear Leader’s Juche they are surprisingly touching and endearing. The work from the Mansudae art studio display a heart and affection for their subjects I wasn’t expecting. Chen Qiulin’s enormous installation is a poignant reminder of what rural life along the Yangtze River was like before the Three Gorges Dam hydro-electric project flooded the region. If the house is the ghost of Three Gorges past, his video Garden 2007 is a equally fascinating walk through the towns that now exist in the area. The Funky Buddhas is a work by London-based Tibetan artist Gonkar Gyatso. This work is supposedly for the kids who get to place colourful stickers all over the buddhas. Although there were no stickers available when I was there, I enjoyed the humour of the piece and its fantastic location looking out to the new Kurilpa footbridge. Ah yes, the elk. Impossible to walk past and deservedly gets a room to itself. 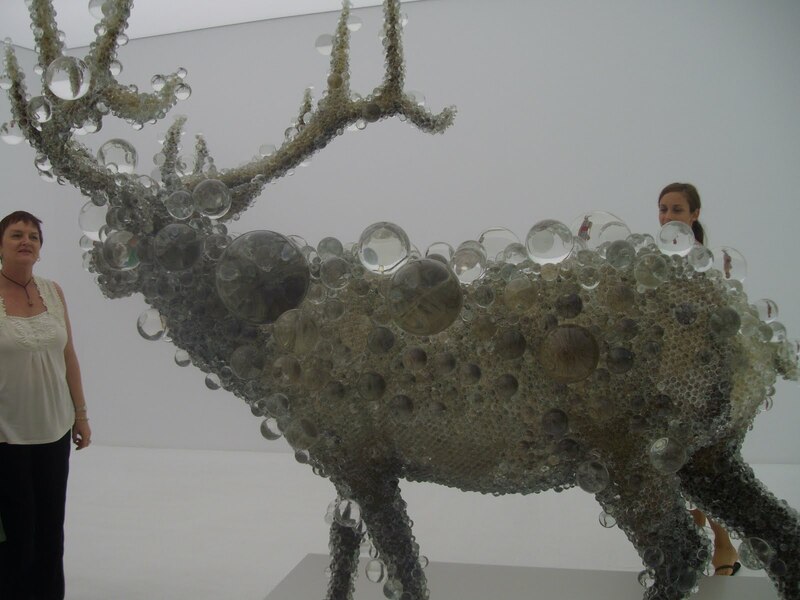 The 2.5m taxidermied elk, or to be precise Pixcell Elk#2 is by Japanese sculptor Kohei Nawa. It is covered in glass, acrylic and crystal baubles of varying sizes which magnify and distort the object’s form in different parts to various degrees. Called “People Holding Flowers” this installation by Zhu Weibing and Ji Wenyu is the signature piece for APT6. The work is made of synthetic polymer paint on resin; velour, steel wire, dacron, lodestone and cotton. 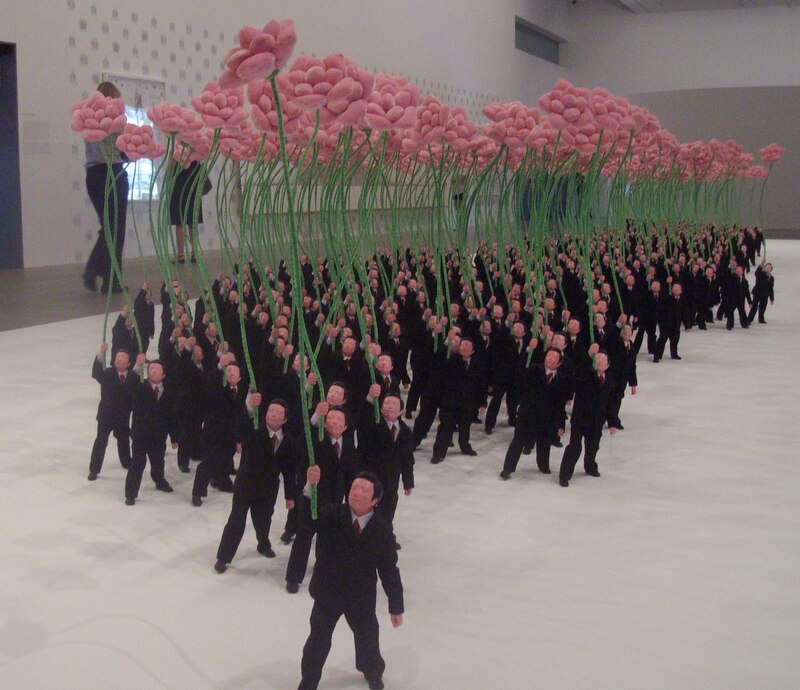 There are 400 figures holding flowers in deliberate memory of Mao’s short-lived 1950s mantra of “let a hundred flowers bloom“. An overwhelming response to the Hundred Flowers Campaign led to serious crackdowns on dissent. Arguably nothing much has changed in 50 years in China. I loved Rudi Mantofani‘s collection of unplayable guitars. Mantofani is an Indonesian sculptor and painter whose work transforms ordinary objects into strange or absurd “visual parables”. 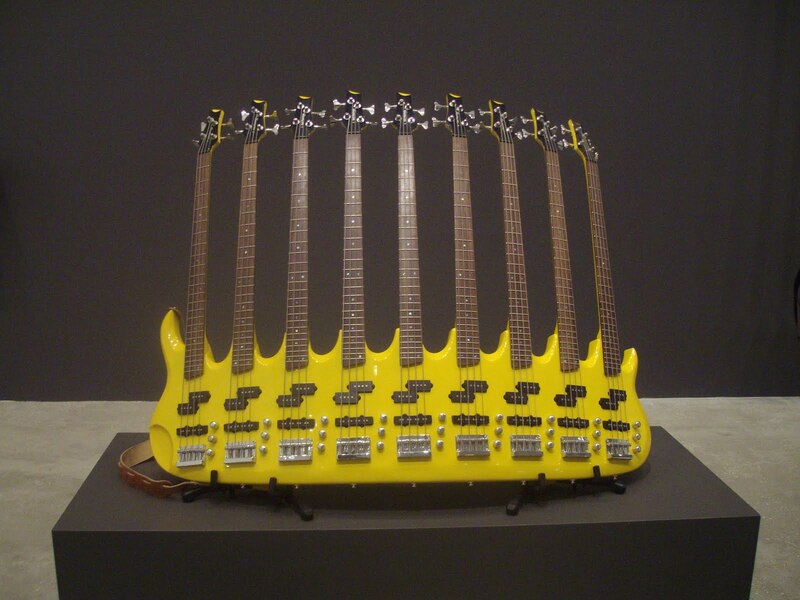 Mantofani’s guitar sculptures were inspired by a benefit concert he saw in New York. He said, the gap between American philanthropic rhetoric and the harsh effects of its foreign policies in the Muslim world led him to “create a series of distorted guitars, as a means to express such ethical contradictions.” I’m not sure I saw those contradictions in the works but I loved the guitars. Chile’s new billionaire leader has become substantially wealthier after the value of shares soared following his election victory. Sebastian Pinera won the country’s run-off election last weekend and since then his 25 percent shareholding in Chile’s LAN Airlines SA have increased in value by two fifths giving the company a value of over $1.5 billion. Stock market officials halted trade and triggered an automatic investigation which happens whenever share prices increases by more than 20 per cent in one day’s trading. Pinera refused calls to sell the shares before the election. Outgoing president Michelle Bachelet, who was constitutionally barred from seeking re-election, raised conflict-of-interest questions over Pinera’s LAN stake during the presidential campaign. He promised he would divest the shares after the election and he reaffirmed that promise last week. He has also set up a blind trust to manage $500m of his fortune including ownership of the country’s four television networks and Chile’s biggest football club Colo-Colo.The obvious comparison for Pinera is with Italian leader Silvio Berlusconi. Both are right-wing wealthy businessmen who won their countries’ elections with the help of their media empires and football teams. Andres Oppenheimer says the comparisons are facile and notes five significant differences. Pinera has a PhD and taught economics at Harvard, he has been a senator for 20 years, his business record is free from scandal, he is a family man married for 36 years and he may be less of a right-winger than many think. Oppenheimer said Pinera opposed Pinochet in the 1980s (others dispute this) and is liberal on social issues. His huge war chest helped him win the election. 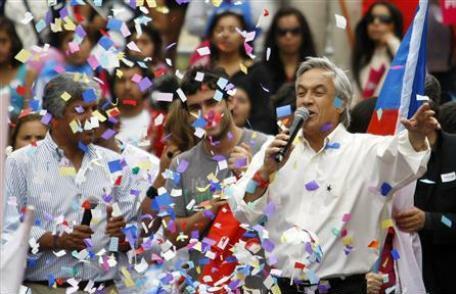 By last week’s runoff election with former president Eduardo Frei, Pinera had spent $13.6 million on the campaign. His victory marked a political shift as candidates of the governing Concertacion coalition had won all four presidential elections since 1989 on pledges of eradicating all traces of Pinochet’s leadership. Although 73 percent of Chileans still despise the former dictator, Pinera won because the coalition was split between two presidential candidates. In the first vote on 13 December, Pinera took 44 percent of the vote with Frei second on 29 percent. Frei expected to pick up the remaining left-wing vote in the second ballot. Concertacion had succeeded in reducing Chile’s poverty rate from over 40 to 15 percent, while boasting the region’s most impressive growth rate since 1990. Former president Bachelet left office with an approval rate of over 80 percent. Yet Frei could not galvanise that support and his campaign slogan of “a vote for Pinera is a vote for Pinochet” fell flat. Frei did succeed in closing the gap as the run-off date came closer. But when Chile’s voters went to the polls on 17 January enough of them decided they wanted to see change. Pinera won by 52 percent to 48. There is at least one leftwing leader in the region unperturbed by Pinera’s win. Bolivian president Evo Morales, who himself was recently re-elected president (after changing the country’s constitution to allow him to stand), saluted the new Chilean leader and said he hopes to continue the improvement in Bolivian-Chilean relations. Morales said he hoped Pinera will continue the bi-national dialogue started by “compañera” Michelle Bachelet. Relations between the two nations has been frosty since Chile won the War of the Pacific against Peru and Bolivia in the late 1800s, taking control of nitrate and mineral-rich lands and forcing Bolivia to lose its access to the Pacific Ocean. Bachelet was the first Chilean leader willing to discuss the issue with Bolivia and Morales hopes Pinera will continue the dialogue. 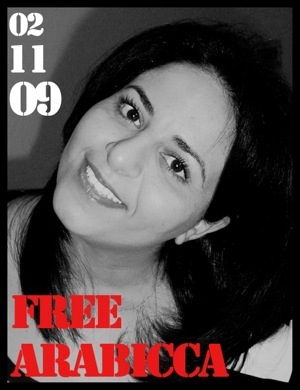 Blogger Fatma Arabicca has resumed blogging two months after authorities arrested her but the blog remains censored. Fatma joins another high profile Tunisian blogger journalist Sofiene Chourabi on the censorship list. Fatma’s original blog was deleted in November before she attracted the unwelcome notice of authorities but a new version (in Arabic) has been posting since 17 January. Arabicca is the nom de blog of college theatre professor, Fatma Riahi. On 2 November, the 34-year-old Riahi was summoned to appear before a Tunis criminal court where she was questioned about her online activities. The authorities wanted to know whether Riahi was hiding behind the pen-name of Blog de Z, a Tunisian cartoonist blogger whose political satire enraged the government. They released her and summoned her again the next day. Three security officers escorted her home to Monastir 160 km from Tunis, to confiscate her PC and conduct a search for evidence. A day later, they took her passwords and accessed her Facebook account. Riahi was detained for a week and denied permission to speak to her lawyer for longing than a few minutes. She was charged with criminal libel that potentially carries up to three years in prison. A Free Arabicca campaign blog was launched by fellow Tunisian bloggers in support for Fatma (though it hasn’t posted since mid November), and there is also a Facebook support page. Riahi’s perceived offence didn’t need to be much to rile the sensitive Tunisian government. President Zine el-Abidine Ben Ali’s government is one of the most repressive in the world for Internet usage. Social networking sites such as YouTube and Facebook are often blocked because of content criticising the president’s policies and the government also filters emails of human rights activists. The 2008 Reporters Without Borders freedom of the press index ranked Tunisia 143rd out of 173 countries. When the Journaliste Tunisien blog posted the index a day after it was issued, it was blocked by authorities. Last week the Committee to Protect Journalists reported an appeals court in Nabeul refused to release Tunisian journalist Zuhair Makhlouf despite his completion of a three-month prison term imposed in October. Makhlouf is a contributor to news Web site Assabil Online and the opposition weekly Al-Mawkif. He was sentenced in October for “harming and disturbing others through the public communication network.” The sentence ended on January 18 but Tunisian penal code provisions say a prisoner cannot be released before all appeals have been considered. The court designated February 3 as the date for Makhlouf’s initial appeals hearing. The regime is showing no signs of changing hostile attitude to journalists. Ben Ali has ruled Tunisia since a bloodless coup in 1987. In 2009 Ben Ali was re-elected for a fifth term with 89 percent of the vote in a rigged election. Although he promised to promote media diversity in 2004, the regime retains a tight control of news and information. According to the RSF, journalists and human rights activists are the target of bureaucratic harassment, police violence and constant surveillance by the intelligence services. The Internet is strictly controlled and foreign journalists are not allowed anywhere without the presence of government officials. RSF says Ben Ali is treated leniently by international organisation because he is “an ally of the west in its fight against terrorism.” No one seems to care about the terrorism he inflicts on his own subjects. Haiti’s neighbour on the island of Hispaniola, the Dominican Republic, has said it was undamaged in last week’s massive earthquake and the country will offer support to the relief effort “in any way necessary”. A statement by Ministry of Tourism said “the DR is making available its medical facilities for earthquake victims and is providing international relief organisations access to Haiti through the airport and seaports.” The statement also said the Republic’s transportation systems, communications systems, hotels, resorts, beaches and natural environment suffered no damage, a message to the world not to cancel holiday bookings. The statement also said the nation’s eight airports were open and receiving flights. The New York Times says the relief effort is using three key airports and a roadway in the Dominican Republic’s southern region to ferry supplies through rural areas not frequented by visitors. 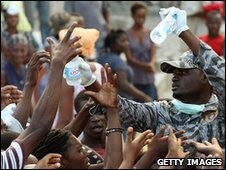 Millions of Dominicans have donated time, money, supplies and expertise to help Haiti. But crossing the border is not the easiest of tasks. The crossing between Haiti and Dominican Republic is supposed to be open between 8am and 6pm. But as this intrepid traveller found in 2007, the reality is different. “An immigration official passed by and informed us that things opened at 9. By 9:30 more people had congregated, including immigration officials. The immigration people would ask us what we needed but when we would tell them…they just nodded and continued to eat their breakfast outside the locked office. Around 11, two hours after they were supposed to open, the windows opened the process began.” Even then it was a “shoving game” until “lots of stressful Spanish, shoving, yelling, and swatting bugs” got them over the border. A new report shows the Global Financial Crisis has had a small dampening affect on greenhouse gas emissions with energy use down in Australia’s eastern mainland states in 2009. It also showed energy use varies radically from state to state. The report by non-profit international body The Climate Group shows annual emissions were 5.3 million tonnes lower in 2009 than the previous year across Victoria, New South Wales, Queensland and South Australia. This represents a fall of 1.8 per cent and followed a rise in emissions of 1.3 per cent in 2008. Now entering its fourth year, The Climate Group’s Greenhouse Indicator Annual Report (pdf) tracks greenhouse emissions in Australia from coal, natural gas and petroleum. The Climate Group tracks emissions on a weekly basis across the four states and provides useful real time information for policy makers, media and the general public. The 2009 annual report shows a decrease from 2008 but is not uniform across the states. Emissions declined considerably in South Australia (4.2 percent) and NSW (3.1 percent) while barely changing in Queensland (1.1 percent) and Victoria (0.5 percent).The reasons differed from state to state. In Victoria most of the decrease was due to emissions reductions in both gas‐fired electricity generation and use of petroleum. This was counteracted by an increase in emissions from coal‐fired generators. In NSW and Queensland, coal-fired generators led the reduction while emissions from gas-fired generators rose a staggering 176 percent due to the commissioning of new stations. In SA gas-fired generators led the reduction. states except Victoria. Petrol sales fell in Victoria and Queensland (where the fuel subsidy ended this year), remained the same in NSW and increased in South Australia. Another Climate Group report shows petroleum emissions declined for the whole of Australia between October 2008 to September 2009. Electricity use was also down 1.9 percent across the four states. 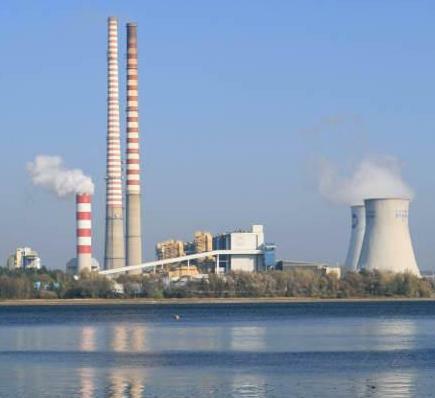 Coal usage was slightly down but still represents a whopping 87.8 percent of all scheduled electricity generation. Gas is responsible for 9.3 percent and renewables is still a paltry 2.8 percent (up just 0.1 percent in 12 months). Demand fell 2.0 percent in Victoria and 1.2 percent in NSW. Demand rose 1.5 percent in Queensland and 0.1 percent in SA. Victoria has an unhealthy reliance on higher emitting brown coal which rose 1.1 percent balanced out by the 27 percent decrease in gas-fired power stations. 2009 was the second warmest year on record in Australia and the years 2000-2009 was the warmest decade on record. As the Bureau of Meteorology said these trends are “consistent with the background of global warming”. The higher temperatures had good and bad aspects. There was less demand for heating over winter but more demand for cooling over summer. Demand in the national electricity market for the winter of 2009 was 3.4 per cent less than the winter of 2008. The summer of 08/09 saw demand increase by 1.7 per cent from 07/08. The report said all states recorded a growth in Gross State Product (GSP) despite the GFC. It says “growth rates were reasonably low compared with previous years, and this would certainly have relieved upward pressure on emissions levels.” As the economy recovers, emissions are likely to increase substantially in the absence of any meaningful government action to throttle them. Ukraine’s pro-western president Viktor Yushchenko has been defeated in the presidential election leaving opposition leader Viktor Yanukovich and Prime Minister Yulia Tymoshenko to compete in a run-off ballot. Yanukovich led in first round of voting with 36.6 percent of the vote, while Tymoshenko picked up 25.8 percent, according to an exit poll from local television channel Inter. The incumbent got only 5.2 percent leaving him in fifth place. 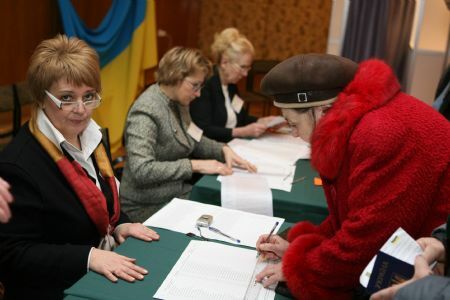 About two thirds of Ukraine’s voters turned out to vote. It will be ten days before the Central Election Commission releases official results but there is no doubt who will be in the run-off on 7 February. Viktor Yushchenko’s crushing defeat was not unexpected after period of legislative deadlock, lagging reforms and economic doldrums. But it represents an end to the Orange Revolution which began in the last presidential election in 2004 when he was poisoned with dioxin. Yanukovich and Tymoshenko have signaled a return to pro-Russian politics. Both run-off candidates have said they will abandon efforts to join NATO. Russia remains the truculent big brother. They curbed natural gas deliveries to Ukraine three times in the last five years, withheld a new ambassador to Kiev and accused Yushchenko of supplying arms to Georgia during its war with Russia in August 2008. Fyodor Lukyanov, editor of Russia in Global Affairs magazine, called the first round result a “win-win situation” for his country. “Whoever becomes the next president will be much less ideological and more businesslike,” he claimed. Yulia Tymoshenko does not seem like a natural Russian ally as a close confederate of Yushchenko during the Orange Revolution. Like Yushchenko her power base is in the west of the country. Her election priorities were a fairer society and more government efficiency, and she also pledged innovation-driven economic reform and better welfare provisions. But she forged a close relationship with Vladimir Putin who personally negotiated an end to last year’s gas cut with her. Despite Tymoshenko’s rhetoric, Viktor Yanukovich remains the favourite to become the next president. He is a two time prime minister, initially from 2002-2004. This was the springboard to the presidential campaign of 2004 backed by Russia and early results gave him a victory. His win was thrown out by the courts after street protests and he was condemned for fraud and abuse of power. Yanukovich bounced back two years later to regain the Prime Ministership and is now is benefiting from disappointment with Yushchenko’s failure to stop bickering with his supposed allies including Tymoshenko. Yanukovich draws his support from the Russian-speaking areas of the industrial east and the south. He has promised an economic revival, new jobs, pay raises, judicial reforms and tax-free policies for small enterprises for five years. Yanukovich is a Russian speaker with only halting ability in Ukrainian. But he is no longer the Russian lapdog he was five years ago. Since 2004 Ukraine has effectively created a distinct new national consciousness by banning Russian on national television and in university entrance exams. The runoff election will be tight and the role of third placed Sergei Tigipko will be vital. As well as being an economic minister, Tigipko was a central banker and a former adviser to both Yanukovych and Tymoshenko. Though officially staying neutral, he has expressed interest in working as prime minister under either. He will probably be able to name his price to guarantee either candidate victory. 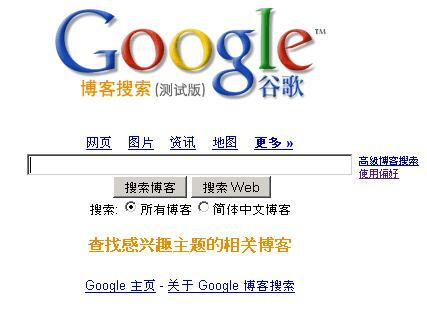 On 12 January, the official Google blog posted a seemingly innocuous entry called “a new approach to China”. Google claimed serious cyber-attacks in December resulted in theft of their intellectual property. The post stated the attack was aimed at accessing the Gmail accounts of Chinese human rights activists. It also said the accounts of dozens of American, Chinese and European Gmail users who advocate human rights in China “appear to have been routinely accessed by third parties”. Then they dropped the bombshell. As a result of these attacks, Google decided to stop censoring results on Google.cn. “We recognize that this may well mean having to shut down Google.cn, and potentially our offices in China,” concluded post author David Drummond, Google Senior Vice President, Corporate Development and Chief Legal Officer. Google has made a business decision dressed up with noble values. The news was even kept secret from Google’s 700 Chinese staff until it was made publicly available. Techcrunch’s Sarah Lacy offered three reasons why Google made their decision. Lacy claims Google were not doing great business in China (with 30 percent of the market) and could never outdo local leader Baidu (with 63 percent). Secondly Google had already made their decision and the announcement was a “scorched earth” move aimed at buying Google goodwill in the west. Thirdly it is only going to get harder for western firms as cashed-up Chinese tech companies begin infiltrating the US market. Chinese news agency Xinhua has been strangely diffident in its response. Normally it reacts bullishly to perceived criticism of the Communist regime but an article on 13 January merely suggested China was seeking more information on Google’s stance. They quoted an anonymous high ranking official: “It is still hard to say whether Google will quit China or not. Nobody knows.” They also quoted Guo Ke, professor of mass communication at Shanghai International Studies University, who said it was “almost impossible” for Google to quit China and also impossible for the Chinese government to give up its management right over the Internet. “I think Google is just playing cat and mouse, and trying to use netizens’ anger or disappointment as leverage,” Guo told Xinhua. The official Chinese Government response is that companies must follow the law of the land. The Foreign Ministry said China welcomed foreign Internet companies but those offering online services must do so “in accordance with the law.” According to the New York Times, another high-ranking official has called for tighter Internet restrictions. Wang Chen, the information director for the State Council urged Internet companies to increase scrutiny of news or information that might threaten national stability and emphasised the importance of “guiding” online public opinion. Google has hinted it will negotiate with the Communist regime. It may be that Google needs China more than China needs Google. China has by far the world’s largest internet population with 338 million Internet users – an extra 46 million in the last 12 months alone. The network is policed by the Great Firewall of China and the government stepped up efforts to censor the Web during the Beijing Olympics and the Communist regime’s 60th anniversary last year. During the purge, the Chinese government made particular efforts to shut down social media sites such as blogs, online video sites, Facebook, Twitter and Youtube. However, many Chinese users have sophisticated knowledge of the Internet and can circumvent the censorship. Locals call it “fanqiang”, or “scaling the wall.” Users connect to an overseas computer via a proxy server which costs $2 a month to share with two dozen others. Chinese users say the government rarely cracks down on them individually, preferring instead to go after prominent dissidents who publish information about forbidden topics online. Non-profit companies have set up censorship-evading tools for users to download in a cat-and-mouse game with authorities. But as The Hindu puts it, many Chinese online users will be let down by Google’s losing battle over censorship issues. They quote Chinese Internet expert Kaiser Kuo, who believes the ordinary Chinese Internet user is being ignored. “But they are also questioning whether the moral point Google is trying to make is worth the price they have to pay,” he said. “The government no longer worries about access to outside information through Web 1.0 sites, but has closed down social media platforms such as Twitter, Facebook and YouTube that allow for the rapid dissemination of information.” The absence of Google will tighten the Government’s grip on power in this most closed of kingdoms.